I'd heard that the Highland Cross is quite hard to get into but it seems like everyone from the club was doing it this year. I'll have to learn the secret handshake so I can secure an entry in a future event! The event runs from Kintail on the West Coast through Glen Affric and Strathglass and finally finishing 50 miles later on the East Coast in Beauly. The first 20 miles is quite a challenging off road run with the final 30 miles on the bike (on road). The event raises huge amounts of money for local charities which is great! Well done too all club members who took part including Martin, Darren, Mark, Neil, Matt, Angus and George. Well done to Martin, a.k.a. Flash Gordon, who managed to get in under 4 hours. As for George, I can never keep track of how many events he's done - he's like a swim, bike, run ninja! You'll never know he's doing an event but if you look on pretty much any event results or photos, George's name or cheery face will appear! 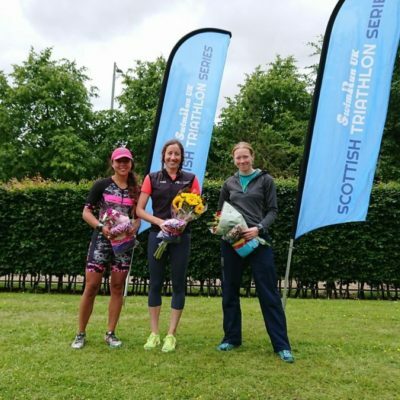 Highlife Highland are once again hosting a series of triathlons across their centres which is great news for anyone who has kids who are keen to give triathlon a go. The 'Mini' event is open to anyone from 3 years old to P2. It's not timed and parent/guardian escorts and swim aids are encouraged. If you're slightly older you can attend the 'Junior' event which is open to anyone from P3 o S1 and is chip timed. 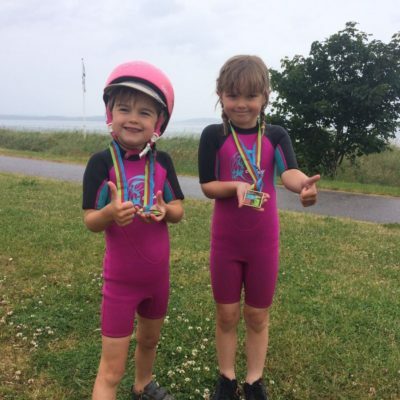 Well done to Louis, Caitlyn, Eleanor, Anna and Katie who all took part from our Junior section and our Minis who aren't quite old enough to join the club yet but had a blast at the Mini Triathlon - see picture above of Iona and Caladh who were quite rightly very proud of their achievements. Thanks to members and coaches from Tri Inverness for supporting with the marshalling on the day. The next event is in Invergordon on 28th July if you're young ones fancy giving it a go. Loch LoMan is a race I've done a few times before and it's always very enjoyable albeit quite a tough bike course with over 1200m of climbing in about 85km! It was an interesting start as I found my accommodation which entailed collecting the key from a local kebab shop and the 'breakfast included' consisted of a pack of ASDA smart price scones (no butter or jam) and a few other bits and pieces. Still, usually at races you don't get to eat the breakfast as you leave too early, at least with this one I could take it with me. The race has typically been run in May but this year it was moved to June in the hope of slightly warmer waters. They were definitely warmer but the general consensus was that it was still a bit baltic!!! On the bike I had a hard time catching up to the first place female which took me about half the bike course. After that, we seemed to play a game of leap frog for a while where one of us would pull out into the lead for a bit but she got the better of me in the end. After the first quarter of the run I think I was about 30 seconds down but then my legs appeared to give up and I ran pretty terribly for the remainder of the race but it was enough to get my 2nd place female and 6th overall so I was happy with that. I was delighted to get a Big Bobble Hat and a bunch of flowers as a prize. Nigel was delighted to hear that they've taken on 'his' run route which he accidentally ran the first year of the race (and also took another competitor with him) which just goes along the riverside rather than the figure of 8 type course that existed before. This is a great race that many club members have taken part in over the years and it offers both the middle distance and standard distance to choose from. 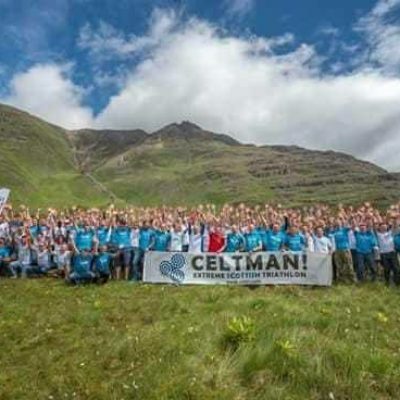 This brutal 'extreme triathlon' has quickly built up a reputation over the years and is one tough race and not just because of the distance (3k swim, 200k bike and a marathon)... imagine that M&S advert that was on the TV a while ago and now we'll put a Celtman spin on it. It's not just any loch swim, it's a freezing cold 3 kilometre loch swim with jelly fish infested waters! It's not just any cycle, it's a 200 kilometre hilly cycle with endless head winds and body numbing temperatures (despite being summer). It's not just any run, it's a marathon that goes over two munros and this year was accompanied by driving, horizontal rain. But, for those who do choose to take on the challenge, they are richly rewarded with a huge sense of camaraderie as you certainly don't get through this race alone. The support from your own support crew, friends, family and the Celtman family is invaluable and certainly makes this race something quite special and unique. For those that don't meet the strict cut off times and are forced out of the race, there's often a fierce determination to go back and try to tame the wild west coast again in the future. Well done to all those who took part who are either members of the club directly or are local to Inverness including: Jimmy, Ewan, Barry, Ken, Cat, Pete, Tony, Callum and Ryan. You all get super kudos! Special mention goes to Jimmy who just can't get enough of this race and this year was no exception. He returned for his 5th year and is now the proud owner of a red finishers t-shirt marking 5 race completions - there are only 4 people in the whole world who have got one of those! Well done to Brian who attended his first triathlon in quiet some time on what I can only imagine was minimal training! For many of us trying to train and compete in triathlons is quite challenging due to time constraints with other commitments such as work, family and friends! 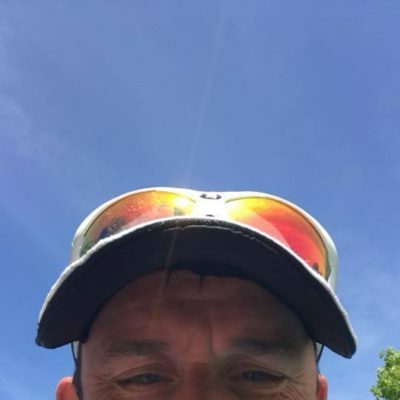 Brian is no exception on that front and has an incredibly busy work life but also finds time to coach local children's sports teams and has a lovely family! He attended the Scottish Sea Farms Triathlon Festival which raised a whopping £38,000 for their chosen charity the RNLI. Great job Brian - we hope to see more of you when we can. Graham Whyte is having a great season so far! First up was St. Neots Standard Distance Triathlon back in May. This was a qualifying race for the ITU World Championships and Graham got 4th in his age group securing him a place at the World's later this year on the Gold Coast. Graham followed this up a a week later with 3rd in his age group at the Eton Sprint Triathlon which was also an ITU qualifier. Graham's result secured him a place at the Sprint World Championships also on the Gold Coast. 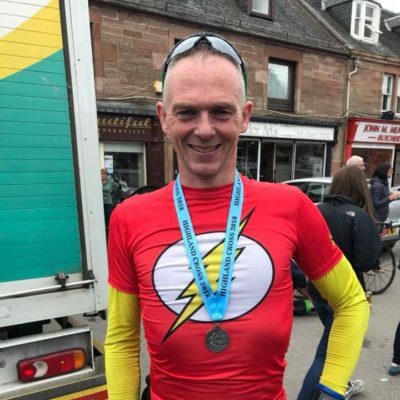 Two weeks on and Graham set a new 25 mile TT PB in a phenomenal time of 57 minutes 56 seconds at the National 25 mile TT Championships in Forfar. 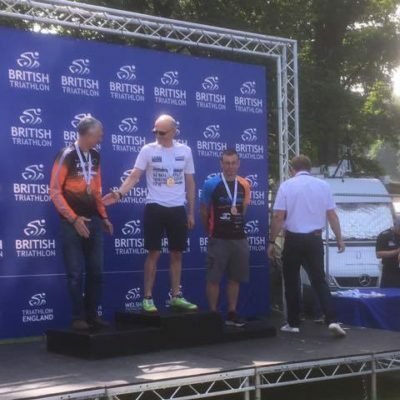 Another week later, taking us up to today's date, Graham put in another great performance to take 3rd in age group at the British Standard Triathlon Championships down in Leeds. Nice one Graham. Keep up the hard work and we look forward to hearing how the rest of your season goes. 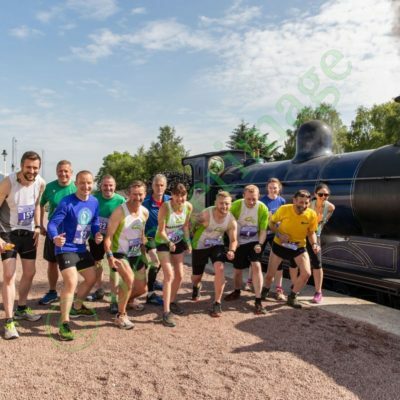 We've been having a run of great weather in the North of Scotland recently and June 2nd was no exception for the annual Race the Train event. As well as getting a pretty cool trip on the Strathspey Steam Railway you also get to race it from Boat of Garten to Aviemore along the beautiful Speyside Way. Nicola, Matthew, George (see if you can spot him in the photo), Laura, Myra, Eileen and Jen all took up the challenge. Well done all, looks like it was a great day! The photographer commented on Myra's top banter... good to see we've got a sense of humour about us even when racing! 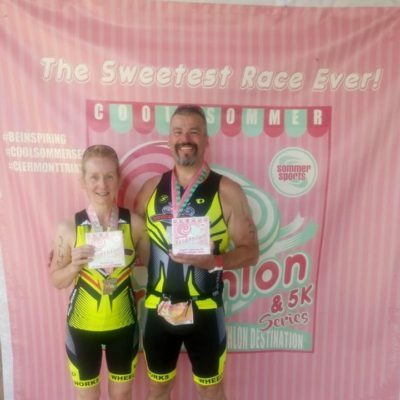 Julie and Malky went a little further afield for their recent race and travelled all the way to Orlando! Greeted by torrential rain they were lulled into a false sense of what race day might be like which turned out to be a scorcher! What's more is the waters they swim in for the triathlon have the potential for alligators!!! After their recent success at a more local super sprint in Turiff earlier in the season where Julie got 1st female super vet and Malky got 2nd male super vet, both went on to do even better here. Julie was 1st female overall in the Duathlon and Malky won his age group in the triathlon. Well done both, great results! 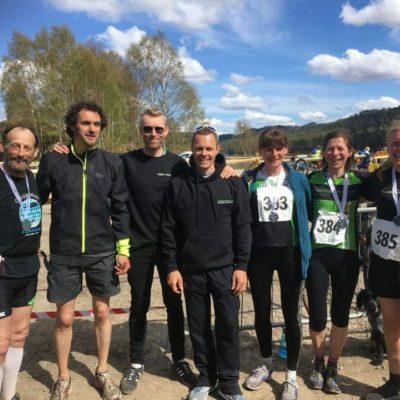 A scorching day greeted the 2018 Glen Affric Duathlon that is held in what can only be described as one of the hidden gems of the Scottish Highlands. 8 members of the Inverness Triathlon club (including 2 teams of 3) joined nearly 150 people in taking on a 7.5 mile hill climb reaching 1800ft, a 17 mile cycle on forest trails that included one climb of 1.6 mile at 7% average gradient and a final "wee" 2.5 mile run around the nearby loch shore. There were great performances by all with the stand out results a first Vet Female for Susan Richardson in a time of 3.12.33 and new member Brian Thursby Pelham coming home 6th in a time of 2.31.07. The teams performed really well with the Inverness Tri Lads taking second as Darren Shearer (2.39.08), Mark Georgeson (2.46.19) and Angus MacDonald (2.53.02) combined and the Inverness Tri Ladies coming in 7th as Susan teamed up with Elaine Leiper (3.32.16) and Laura Wright (3.43.32). And finally the legend that is George Reid came home in 04.10.44 despite a puncture and a slight injury on the second run. All in all a fantastic event in an amazing location surrounded by 7 munroes and in cracking weather. A huge thank you to our very own Matt Jones who organises the event and all the local volunteers from Cannich who get involved.